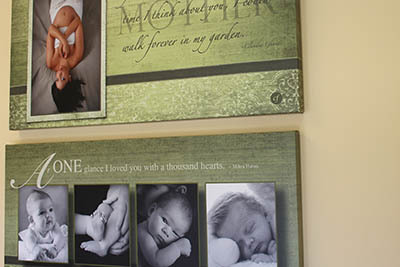 Women’s Care of the Commonwealth provides comprehensive healthcare for women. Our reputation as a community leader in obstetrics, gynecology, and infertility derives from our uncompromising commitment to excellence. Women’s Care of the Commonwealth Board-Certified Obstetrician/Gynecologists, Women’s Nurse Practitioners, and Family Nurse Practitioners offer our services in a safe, compassionate, and emotionally supportive environment. We are pledged to patient education and the use of best practices in the delivery of specialty and preventative healthcare. Women’s Care of the Commonwealth has set the bar very high in patient gynecologic care. They have been overseeing my gynecologic care for several years. I feel they are truly invested in my health and well -being. At each visit I’m struck by the individualized attention given and I walk away knowing I have all the information I need to make the best choice in my healthcare. When faced with a minor surgery, they were proactive and their expertise made me feel reassured, confident and taken care of. At Women’s Care of the Commonwealth we have been providing the best obstetrical and gynecological care possible for the women of Danville and surrounding areas since 1975. Women’s Care of the Commonwealth has incorporated the latest practices and technological advancements to better serve our patients. Not only are we primarily paperless, we have also incorporated a cutting-edge Electronic Medical Record (EMR) system. This state-of-the-art medical office technology allows for web-based patient contact. Through our secure Patient Portal, patients can view lab results, make appointments and payments, ask questions directly of their provider, and request prescription refills. Our EMR system ensures timely follow-up and accurate monitoring of every patient’s medications and testing. At our clinics, you can expect that we are using the latest, most effective technology, as we are always looking for new ways to improve each patient’s experience. Women’s Care of the Commonwealth is a part of Cumberland Family Medical Center, Inc. a Federally Qualified Health Center with community health center locations throughout south central and a portion of north central Kentucky. 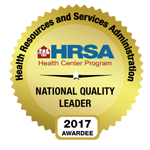 In 2014, CFMC, Inc. was recognized by the Department of Health & Human Services as ranking among the top 1% of community health centers in the U.S. as a National Quality Leader. Cumberland Family Medical Center, Inc. is a non-profit 501(c)3 corporation, established to assure that residents of our service areas have access to high quality primary and preventative health services regardless of ability-to-pay. Our commitment is to the promotion of a healthy lifestyle, efficient and caring service, and the overall well-being of the area and the people we serve.